You can learn the malware analysis techniques that make use of the tools installed and pre-configured on REMnux by taking the Reverse-Engineering Malware course that my colleagues and I teach at SANS Institute. REMnux is now available as a Open Virtualization Format (OVF/OVA) file for improved compatibility with virtualization software, including VMware and VirtualBox. 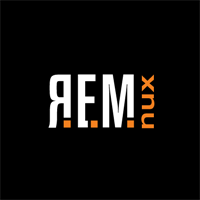 (Here’s how to easily install the REMnux virtual appliance.) A proprietary VMware file is also available. You can also get REMnux as an ISO image of a Live CD. The one-page REMnux Usage Tips cheat sheet outlines some of the more popular tools installed on REMnux. Feel free to customize it to incorporate your own tips and tricks. The recorded Malware Analysis Essentials Using REMnux webcast provides a good overview and examples of some of the tools for performing static malware analysis. If you find REMnux useful, take a look at the reverse-engineering malware course. It makes use of REMnux and various other tools.